This is the tip of the appendix from a patient with acute appendicitis. The appendix has been sectioned in half. 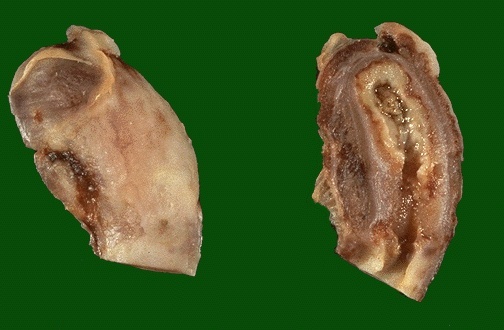 The serosal surface at the left shows a tan-yellow exudate. The cut surface at the right demonstrates yellowish-tan mucosal exudation with a hyperemic border.